Markus Schulz recently dropped an update on his forthcoming album. ‘Watch The World’ was announced as the title of his sixth studio album, which will come through a joint venture between Black Hole Recordings and his own Coldharbour Recordings label. 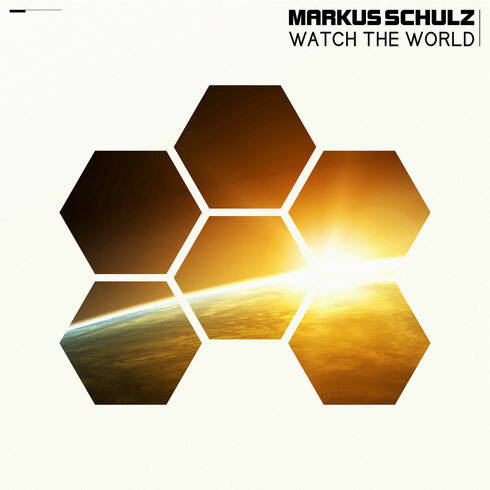 Its cryptic title - suggested to be a reference to the release’s underlying theme - was further reflected by the unveiling of its cover art, showing it was Schulz’s first album not to feature Markus himself on the cover. Markus did however say that its track list would include previously unheard vocal outings with singers Delacey and Lady V, as well as his Beatport #1 ‘Destiny’ and (in Markus Schulz Remix form) the Soundland collab ‘Face Down’. Also part of the info-drop were first details of Watch The World’s tour parties. Schulz will be kicking it all off on 8/9 April with two of his open-to-close sets at Ministry of Sound, London and Switzerland’s Hall Of Fame. Release weekend on 29/30 April sees the tour land on the American West Coast, with nights at Exchange, LA and San Francisco’s Audio. With this album concept, Markus is giving a unique opportunity to see him at intimate venues. Because of these small capacities and the possibly high demand for tickets, he will be hosting a ticket request for fans to enter, for a chance to purchase a limited amount of pre-sale tickets. For these ticket holders, he’ll also be inviting a handful of lucky winners to an exclusive pre–show Q&A. Hosted by Markus himself, they will get to listen to parts of ‘Watch The World’ and enjoy an in depth Q&A about its tracks and creation. The following weekend the tour heads to the other side of the country for eastern seaboard shows in New York, Washington and Markus’ adoptive Miami. With a stop-off in Dubai, 13 May, it then crosses over to Europe for a first raft of post-release dates in Germany, the Czech Republic and Turkey.